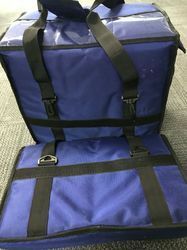 Pizza Delivery Bags Are Insulated Bags Available From Single Pizza Box Capacity To 6 Box Capacity . Ex-Works Price;12.5 USD Per Bag. So as to precisely cater to the increasing demands of our clients we are sincerely involved towards delivering Insulated Pizza Delivery Bag. 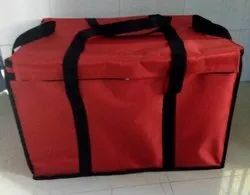 Red Insulated Pizza Delivery Bag, Size/Dimension: 15 " L X 15 " W X 8"
Size/Dimension: 15 " L x 15 " W X 8"